On March 15, 2017 our #DesautelsFamily came together to raise money for both our Faculty and McGill University as a whole. 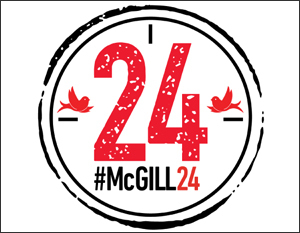 A big thank-you to all those in our community who helped make this year’s #McGill24 a success! Did you know that Desautels graduates alone gave a remarkable $187,000 to McGill? Whether you are a student, a graduate, a parent, or you work at Desautels, you made a difference for our University. You set records, you inspired others to get involved, and you supported our community. Thank you so much!